New in New York or new to motherhood? You are not alone! 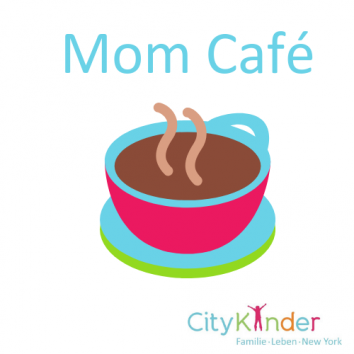 Join us every first Wednesday of the months for our Mom Cafe! Meet other German-speaking Moms with babies from 0- 24 months to chat, make new friends and learn a new thing or two. Pregnant moms are welcome as well! Mom Cafe will give you plenty of time to meet and mingle, exchange your experiences, and ask our staff any questions you might have. Are you in the market for a new apartment or thinking about maybe entering the real estate business yourself? Sandra Rivollier from Keller Williams will give us a quick intro to the fascinating real estate market in NYC and how she balances her passion and demanding career with being a Mom of 2 young kids. Join the conversation! Verena Schiml from Mom-in-Balance will talk to us about “Rueckbildungsgymanstik” , why it’s important, what you can do at home and how you can best take care of your post-baby body. Do you want to be our next breakfast presenter?